Applying for your first driving license is a pretty straight forward process. Before you can get a full and complete driving license, you must first apply for a provisional license. This is the license that you will show to your driving instructors as part of taking your lessons. Equally, your provisional driving license must be shown when undertaking any activities related to driving - such as taking your theory test or your practical test. Currently, the�provisional driving license is one of the only legally accepted forms of identification. You will be able to show your�provisional driving license as proof of age when entering establishments such as nightclubs, pubs, bars or when purchasing lottery tickets, for example. Be a permanent resident within the United Kingdom, and not currently be living abroad. You must meet the legal minimum age requirement for applying for a provisional driving license. You can apply for your�provisional driving license three-months before your 17th birthday, but your license won't arrive before you turn 17. You must not have any sort of eyesight impairments that affect that your eyesight from functioning properly. Your doctor will usually let you know if this applies to you. You must have never been disqualified or disallowed from driving. If you have had your driving license taken off you in the past, then you must adhere to the�penalties�issued to you. You must be able to show proof of your identity, such as having an in-date Passport. You must have your National Insurance at hand if known. If you have forgotten your NI number, you may need to contact gov.uk to find it. You must provide details of the last 3-years of residence within the UK, such as previous addresses. You must pay a fee of �50, paid by any credit card or debit card. The above�criteria�apply to driving a car, moped and motorcycle, and apply to both a car�provisional driving license and motorbike�provisional driving license. 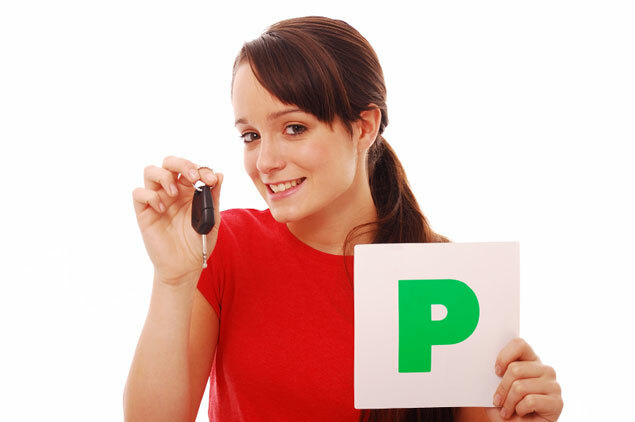 If you apply for a�provisional driving license before your 17th birthday, you will be able to take your first driving lesson on the date that you turn 17. If you have ever received any sort of mobility allowance, such as Disability Living Allowance, you may learn to drive at 16, and may apply for your�provisional driving license three-months before you turn 16. You can find out more about the�provisional driving license application process by heading over to https://www.gov.uk/apply-first-provisional-driving-licence. Additionally, you can also contact the DSA with any questions or queries that you may have. Their contact information can be found on the official gov.uk website listed previously.